The canon of Def Leppard represents a lot more than just music. How many great moments have been soundtracked by "Photograph?" How many times have you sung along to "Pour Some Sugar On Me" amongst friends? How many memories can be associated with their records? Def Leppard not only maintain, but also extend one of rock music's greatest legacies by consistently delivering airtight songcraft and top-flight performances on each subsequent tour, release, and new frontier. That's why they've moved over 100 million records worldwide. It's why they're "one of only five rock bands with two original studio albums selling over 10 million copies in the U.S." It's why their admirers span everyone from Metallica to Taylor Swift. It's why the music endures forty years since their 1977 formation in Sheffield, UK. In 1980, the platinum On Through The Night introduced Def Leppard on a global scale. Right out of the gate, they set a rigorous standard for touring and even touched down stateside for the first time. 1981's double-platinum High 'n' Dry saw them begin a storied creative partnership with producer Robert John "Mutt" Lange powered by signature singles "High 'n' Dry (Saturday Night)" and "Bringin' On the Heartbreak"-eventually covered by none other than Mariah Carey. Def Leppard lit up Pyromania in 1983 alongside Lange. Fueled by singles such as "Photograph," "Rock of Ages," "Foolin'," and more, the record eventually became a Diamond-seller, moving over 10 million units in the U.S. alone by 2004. Long before the days of TRL, "Photograph" famously knocked Michael Jackson's "Beat It" from the top of MTV as the "Most Requested Music Video." Among countless placements everywhere from the Grand Theft Auto and Guitar Hero video game franchises to Blades of Glory, "Photograph" would also be honored with covers by Santana and Daughtry, The All-American Rejects, and more as The Offspring famously sampled "Rock of Ages." A 2017 Rolling Stone list of the "100 Greatest Metal Albums of All Time" ranked Pyromania at #52. A household name at this point, Hysteria cemented them as icons in 1987. Their best-seller to date, it sold in excess of 30 million copies globally and 12 million in North America, standing out as the "51st best-selling album ever in the states." Hysteria spent 96 weeks in the Top 40-a feat shared only by Born in the U.S.A. A critical favorite, Rolling Stone named it among the coveted 500 Greatest Albums of All Time and a poll in Q placed it on the 100 Greatest Albums of All Time. Beyond clinching #1 on the Billboard Top 200 and UK Albums Chart, this epic spawned the Top 5 juggernauts "Pour Some Sugar On Me," "Animal," "Love Bites," "Hysteria," "Rocket," and "Armageddon It." In 1992, the triple-platinum Adrenalize catapulted to #1 on the Top 200 as well as reaching #1 in a total of 23 countries. During this era, the current lineup of Joe Elliott [vocals], Rick "Sav" Savage [bass], Rick Allen [drums], Phil Collen [guitar], and Vivian Campbell [guitar] was locked. A string of fan favorites followed, including the gold-selling Slang  and Euphoria , X , and Yeah! . 2008's Songs from the Sparkle Lounge bowed at #5 as the musicians joined forces with Taylor Swift to perform the single "Love" on CMT Crossroads. The 2015 self-titled Def Leppard repeated that chart success, crashing the Top 200 at #10. 2018 represents yet another watershed moment as the group unleashes their full catalog on digital platforms for the very first time. Of course, the songs roar as loudly as ever in the 21st century. "It's with a mixture of relief and euphoria that we now see our entire catalog finally getting a digital release," says Elliott. "Having embraced every other format with open arms-especially and more recently the reemergence of vinyl-we're now going to be available to everyone everywhere. Honestly, it's as exciting as the original releases were." That excitement amplifies as they embark on a massive worldwide co-headliner alongside longtime friends Journey. Dominating stadiums and arenas everywhere, expect a spectacle for the ages. "This tour is going to be a blast," smiles Elliott. "We've toured together before. It was massive, and it was good, but this time it's going to be even bigger and better." "Bigger and better" is a promise that Def Leppard keep time and time again. The future will be no exception. In November, the first Def Leppard rehearsal takes place in a spoon factory near Bramall Lane, Sheffield (UK). Lead singer Joe Elliot, bass player Rick “Sav” Savage, guitarist Pete Willis, and drummer Tony Kenning just renamed the band from Deaf Leopard (a name first coined by Joe Elliott at school in 1975) to Def Leppard. At Christmas, the band perform their first gig for six friends. Six songs are played, including covers by David Bowie, Thin Lizzy and their own original “MISTY DREAMER”. In January, Steve Clark joins the band as the second guitarist. Between February and July, the band rehearse interminably until Steve Clark threatens to quit if they don’t get out and play. On July 18, 1978, Def Leppard play their first public gig at Westfield School in Sheffield. They are paid 5 Pounds (out of a teacher’s pocket). “The 50 minute set list was all originals until we encored with Thin Lizzy’s “Jailbreak”! We were paid approx. £5 from a teacher and we also smuggled beer in via the bass drum case to calm our nerves.. Steve’s amp was also on “standby” when we first went on so when he threw the big opening Pete Townsend windmill at the top off the set, nothing came out !!! …. whoops !!! …” – Joe. According to a source we were told years later that the gig was supposed to be in the youth club but it was moved to one of the halls at Westfield due to the numbers of kids who turned up. In November, drummer Tony Kenning is fired from the band and replaced by Frank Noon for the band’s first recording, “THE DEF LEPPARD EP”, which costs 600 Pounds Sterling (approximately 900 US Dollars) for recording, sleeves and pressing on their own Bludgeon Riffola label. 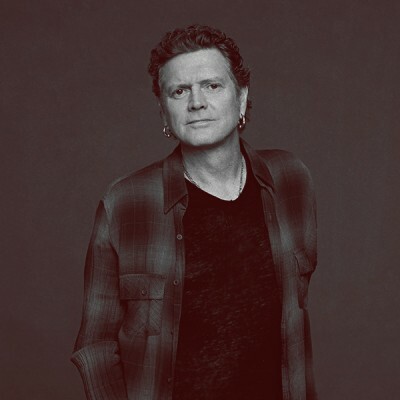 On November 28, drummer Rick Allen joins the band full time. The live reputation climbs, John Peel’s show on BBC Radio 1 gives the EP the first radio airplay and a recording deal is signed with Phonogram (UK) and Mercury (US). All band members give up their day jobs and Rick Allen drops out of school. In September, the band open for Sammy Hagar and play London’s rock mecca, The Hammersmith Odeon, for the first time. In October and November, Def Leppard supports AC/DC in the UK. During that time, the first single “Wasted”, produced by Nick Tauber, is released. Rick Allen celebrates his 16th (!) birthday at the Hammersmith. On March 14, the debut LP ON THROUGH THE NIGHT, produced by Tom Allom, is released. Around the same time, the single “Hello America” sees the light of day. On April 1, the band sign with Leber-Krebs management company. They are looked after by the American duo Peter Mensch and Cliff Burnstein (later to form their own company, Q-Prime). In May, the band arrive for debut U.S. tours to open for, respectively, Pat Travers, Judas Priest, Ted Nugent and AC/DC. In August, Def Leppard return to the UK to play at the Reading Festival. The crowd, convinced that the band have sold out to the Yankee Dollar and turned their backs on their home country, greet them with a rain of bottles and beer cans. Recordings for the second album start in March, their first with producer and soon-to-be unofficial sixth Lep, Robert John “Mutt” Lange. HIGH ‘N’ DRY is released in July and a European tour follows, supporting Rainbow. In the US, the band support Ozzy Osbourne and Blackfoot. In November, the new US cable channel MTV discovers the video for “Bringin’ On The Heartbreak” and plays it with heavy rotation; HIGH ‘N’ DRY is shot back up the charts. In January, recordings for the third album start, again with Robert John “Mutt” Lange. In July, Pete Willis leaves the band and is replaced by Phil Collen, formerly of the bands LUCY and GIRL. In January, the PYROMANIA album and “Photograph” single are released to massive acclaim and sales. In the U.S., the LP sells 100,000 a week for most of the year and ends up selling over seven million copies in that country alone. Success in the rest of the world eludes them at this stage. In February and March they complete a UK headline tour and in the spring, the band support Billy Squier on tour in the US. In April, the first US headline tour is started. The PYROMANIA world tour ends on February 7 in Bangkok and the band relocate to Dublin, Ireland. Work on album number 4 starts in the spring, when each Lep, armed with a drum machine individually start working on song ideas. In August, recordings commenced at Wisseloord Studios, Hilversum (Holland) with producer Jim Steinman (of Meat Loaf’s BAT OUT OF HELL fame). “Mutt” Lange passed on working with Def Leppard on this LP because he was exhausted after producing The Cars HEARTBEAT CITY. Steinman proves incompatible with the band’s style and their collaboration ends, with eight backing tracks scrapped. By “Mutt” Lange’s suggestion, he is replaced by Nigel Green, who had engineered the band’s HIGH N’ DRY album. On New Year’s Eve, just outside Sheffield, Rick Allen’s car overturns high speed and he is thrown clear. His left arm is severed. Microsurgery fails to reconnect the limb. Adapting a Simmons electronic kit, Rick learns to drum one-armed. Meanwhile, the rest of the band keep recording with Nigel Green. In the summer, “Mutt” Lange takes over as a producer and advises the band to re-record almost everything. To break cabin-fever of recording, the band plan to eight shows at the European Monsters Of Rock tour during the summer. As insurance, they bring Status Quo’s Jeff Rich to supplement Rick Allen’s drums. During the warm-up mini tour of Ireland, when Rich accidentally misses a gig, the rest of the band realize that Rick can drum alone. On August 16, they perform at Castle Donington, the first Monsters Of Rock show. In stark contrast to their Reading debacle, the show is a triumph and the crowd take them to their hearts. The final Monsters Of Rock show, taking place August 31 in Mannheim, Germany, is marked by a torrential downpour that lasts exactly the duration of Def Leppard’s set. In January, the recordings of the fourth album are finished. In February, another album’s worth of tracks are recorded – mostly live in the studio, to be used for B-sides. After kicking off the world tour in the UK on August, HYSTERIA is released. Seven out of the twelve tracks are released as singles: “Women”, “Animal”, “Pour Some Sugar On Me”, “Love Bites”, “Armageddon It”, “Hysteria” and “Rocket”. The album goes on to sell 16 million copies (including 12 million in the US alone). At last the band are stars in their home country. During their U.S. tours, the band play “in the round” on a stage located in the center of arenas. In October, after 227 shows supporting the HYSTERIA album, work begins on the fifth album. Recordings of album #5 proceed at Wisseloord Studios and Studio 150 in Amsterdam (Holland), before the band relocate to Dublin. The band also play “Tear It Down” live at the MTV Video Music Awards, Steve Clark’s last show with the band. A year passes while the band keeps working on their album. 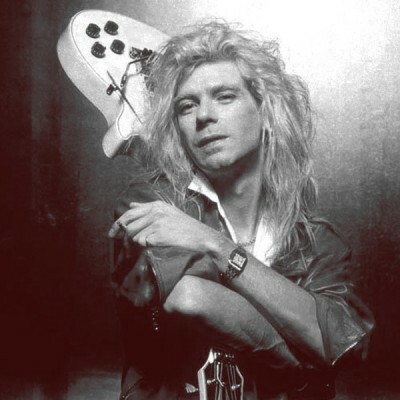 On January 8, guitarist Steve Clark dies after mixing alcohol with painkillers prescribed to him after he broke three ribs earlier that year. Def Leppard continue recording their album as a four piece. For the first time in four albums, “Mutt” Lange does not man the controls: he rather serves as executive producer. Long-time mixer/engineer Mike Shipley sits in as co-producer along with the band. The newest incarnation of Def Leppard is revealed to the world in April at the Freddie Mercury Tribute Concert at Wembley stadium. 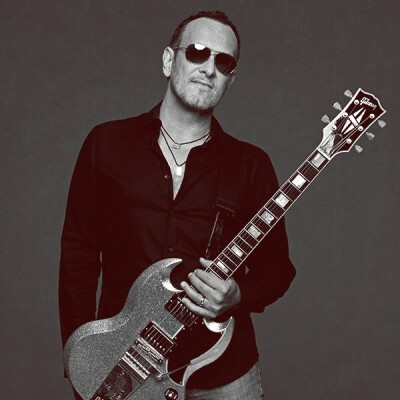 Vivian Campbell, already well known and respected for his work with Dio and Whitesnake, joins the band and ADRENALIZE is released. The band embark on a rare set of European club dates to work on their live show. The album enters the U.S. charts at #1 and remains there for five weeks, selling six million copies. In Japan, Mexico and many other countries, it will become Def Leppard’s biggest-selling album to date. In June, the SEVEN DAY WEEKEND tour begins. Before it ends, some eighteen months later, Def Leppard will have played 241 shows, by far their most ambitious tour ever and the first time they have played “in the round” in the UK. The producers of Arnold Schwarzenegger’s new film LAST ACTION HERO approach the band in March about contributing a song for the end credits. The band, still on tour to support their latest album, cannot make time to record a new song. Rather, they send a B-side called “Two Steps Behind”, which had previously been released only in the UK. On June 6, almost 15 years after their first gig, they are the first-ever band to play the newly opened Don Valley Stadium in Sheffield: a triumphant return to their home town to a sell out crowd of 40,000. In July, “Two Steps Behind” is released, becoming a hit in the U.S. as well as the rest of the world. A string section recorded by Michael Kamen is added and the song is mixed, released, and racing up the charts within 6 weeks. This inspires the band to remix the rest of their rarities and B-sides, in an attempt to put out all the remaining songs from the Steve Clark era and begin a new phase in the history of Def Leppard. In August, RETRO ACTIVE is released, goes platinum in the US and sells over two million copies worldwide. In September, the last gig of the ADRENALIZE tour takes place. The band take a six month break, to write and work on new songs on their own, before entering a studio to begin work on their seventh album. Def Leppard head to a house overlooking Marbella, Spain, to record their next album. Pete Woodroffe, who co-produced “RETRO ACTIVE”, is tapped to co-produce the disc as well. With the new album near completion, the band are approached by Mercury Records to release a Greatest Hits compilation, highlighting the first chapter of Def Leppard’s career. VAULT, is released in October, a collection of sixteen tracks (with different tracklistings, varying on the country of release), drawing one song from 1982’s HIGH ‘N’ DRY, two from 1983’s PYROMANIA, six from 1987’s enormously popular HYSTERIA, four from 1992’s ADRENALIZE and two from 1993’s RETRO ACTIVE. In addition, there is a new song, “When Love and Hate Collide”, which becomes Def Leppard’s biggest hit in the UK ever peaking at number two in the charts. VAULT goes on to sell 4 million copies. In October, Sheffield pays tribute to their biggest export – plaques go up at the Crookes Working Man’s Club and the Don Valley Stadium. The band give the first exhibit to the National Centre For Popular Music and then go to tea with the Mayor. The day’s finale is an acoustic gig 300-capacity Wapentake Pub where the band had played one of their very first shows back in 1978. On October 23, Def Leppard go for the big one and play 3 continents in one day -a feat for which they receive a mention in the Guinness Book Of Records. Starting at midnight in a cave in Tangiers, Morocco, they play an acoustic set. They then fly to London, England to play at midday. Finally, they end up in Vancouver, Canada for yet another show at 9.30 PM….. 5,845 miles in a day! In January, the band keep working on their next album and move from Marbella, Spain to Bow Lane Studios in Dublin, Ireland. In April, the first singles of the new album are released: “Slang” in the UK and “Work It Out” in the US. On May 13, the album SLANG is released, followed by a world tour that starts May 28 in Bangkok. During the following months, the band toured Southeast Asia and the U.S., before the European leg starts in October. In December, the band toured South Africa for the very first time, culminating in a sell-out show to 47,000 exuberant fans at the Johannesburg Stadium. April sees the band complete their world tour with dates in Mexico, Guatemala, El Salvador, Panama, Columbia, Equador, Argentina, Brazil and Puerto Rico. In April, the band get together in Dublin to start writing and recording their ninth album. The album is recorded in Dublin at Joe’s home studio – Joe’s Garage, where ADRENALIZE was recorded, along with some parts of RETRO ACTIVE and SLANG. VH1 starts broadcasting the Def Leppard episode of their BEHIND THE MUSIC documentary series, the first in a row of Def Leppard-related shows the station will be showing in the future (“STORYTELLERS”, HYSTERIA: THE DEF LEPPARD STORY and ULTIMATE ALBUMS would follow). On March 16, Def Leppard are one of the inaugural recipients of the newly launched Diamond Awards in the USA. The award are for over 10 million sales in the US of one album (HYSTERIA has now sold 12 million in the US – over 16 million worldwide) in the history of recorded music. Only 61 albums and 45 artists have achieved this level of success. Even more astoundingly, only eight of them were British artists. Def Leppard are in the fine company of The Beatles, Pink Floyd, Elton John, George Michael, Eric Clapton and the Bee Gees. On May 24, the first single off the new album, “Promises” is released. Two weeks later, EUPHORIA hits stores and is followed by a tour in Japan, the U.S. and the U.K. The band plays at the Allstate Arena in Rosemont, IL on December 31 to celebrate the turn of the century during the second leg of the EUPHORIA-tour. The EUPHORIA tour takes the band to the States and Canada, where they play another 78 shows. The 147-date tour comes to an end on September 30 in West Springfield, Massachusetts. In September, the band gets inducted at the Hollywood “Rock Walk” Hall of Fame, where they receive a plaque and leave their hand prints in cement. Joe and Phil work on their CYBERNAUTS project, playing old David Bowie/Ziggy Stardust/Spiders From Mars songs, Vivian works with his other band CLOCK, Rick starts his own RAVEN DRUM FOUNDATION, and Sav enjoys life as a father. At the same time, work starts on the follow-up to EUPHORIA. The four home videos are being re-released on DVD: HISTORIA and IN THE ROUND IN YOUR FACE on the first DVD, and VISUALIZE and VIDEO ARCHIVE on the second. Both releases are updated with interviews and the videos taken from the SLANG and EUPHORIA albums. In July, VH1 (U.S.A.) broadcasts HYSTERIA: THE DEF LEPPARD STORY, a movie covering the band’s career until the start of the HYSTERIA tour, which is seen by millions of people and is rated tremendously high. Throughout the year, the band travels between Dublin, Stockholm and California to write and record new material with Max Martin, Marti Frederiksen, Per Aldeheim and Andreas Carlsson. In June, “Now”, the first single from the band’s tenth album, is released. The album X (as in the Roman numeral for 10), is released in July. Before the X tour officially starts, the band plays a number of shows in the UK, including one in Leeds, attended by Queen Elizabeth. In September, the world tour officially kicks off. For the most part of 2003, the band is touring around the world. Apart from shows in the US, Canada, Japan and the UK, the X tour also takes the band to places they haven’t been to in a long time (such as Germany and Poland) or even never before (such as Latvia, Lithouania and Russia). After 151 shows, the X tour comes to an end in Moscow. Most of the year is spent on recording a new album, consisting of cover versions of the band’s favorite songs from their youth. By the end of the year, an updated version of the 1995 Greatest Hits release VAULT is released on CD and DVD: BEST OF DEF LEPPARD (North Americans will have to wait a little longer, as their release for this album will be available a couple of months later). The album contains one ‘new’ song; “WATERLOO SUNSET”, originally recorded by The Kinks, is a preview of an upcoming covers album the band has been working on. In May, the North American version of the updated Greatest Hits compilation is released: ROCK OF AGES – THE DEFINITE COLLECTION has new artwork, a slightly different tracklisting and, instead of “Wateroo Sunset”, another preview of the covers album: Def Leppard’s version of Badfinger’s “No Matter What”. In June, a co-headline tour with Bryan Adams kicks off in the U.S.A. and on July 2, Def Leppard is part of the LIVE 8 festival in Philadelphia, where they play in front of 1,000,000 people. November sees the North American release of the ROCK OF AGES DVD, and in support of that release there are three major performances on U.S. national TV; millions see the band play at Jimmy Kimmel Live and two big awards shows. The year starts quietly – but that’s only the calm before the storm. The band’s long-awaited covers album YEAH! is finally released in May, followed by a European festival tour in June which takes the band to Italy, Sweden, Germany, Holland, and the UK. On June 23, the band’s North American co-headlining tour with Journey kicks off, the start of a summer full of rockin’ shows. The year also sees the release of a Deluxe Edition of the band’s most successful album HYSTERIA, containing a remastered version of the original album, and a load of tracks that were originally released as B-sides to the many singles taken from the album in 1987-1989. Recordings of the band’s next album, started on the road the year before in their backstage studio called the “Sparkle Lounge”, are coming along well. In order to avoid the risk of cabin fever, the band goes out on tour in North America with Styx and Foreigner in tow, the first time the band goes on the road for a full tour without an album to support. The band’s 12th studio album is released in April. SONGS FROM THE SPARKLE LOUNGE, named after the backstage area in which a lot of material was recorded during the 2006 tour, features a special collaboration with country star Tim McGraw in the lead single “Nine Lives”. A world tour starts in April, taking the band to North America, India, and various festivals in Europe. For the first time in 5 years, the UK sees the band do a proper tour, co-headlining with Whitesnake. No new music was released, but both PYROMANIA and ADRENALIZE were re-released as remastered Deluxe Editions. The first is accompanied by a never-before-released live show from Los Angeles 1983, where the latter contains a number of tracks that were previously released as B-sides and extra tracks of the various singles from 1992-1993. Before a major American tour (with Poison and Cheap Trick) takes place in the summer, the band first plays a show in Dublin (alongside Tesla, Journey and Whitesnake) and then moves on to headline the legendary Download Festival at Donington Park, 23 years after they played there at the (then called) Monsters Of Rock festival, in front of 80,000 fans. Whilst in the middle of the summer tour, the band decided to plan on taking a significant break. For the first time in almost 29 years they decided to take a rest after the tour – no recording or touring for a whole year. The year in question was 2010! September 2009 was the last time they “worked” ……until April 2011 when they started making plans for the 2011 summer tour. Joe’s tailor made “Undefeated” – a song about not ever giving up, about heroism and success achieved through determination. His idea was to start the new 2011 shows with this uplifting chant. 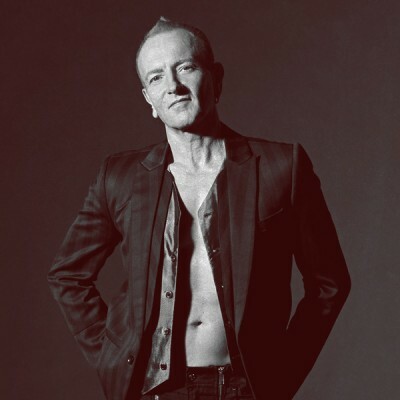 Phil Collen’s “It’s all about Believin” is in the same ilk but leans toward having faith in what you do, not anything specific but just having the resolve to stick to your belief in yourself. Phil says that it is the kind of song that would have been included in the “lost” album which could have been written between Pyromania and Hysteria. 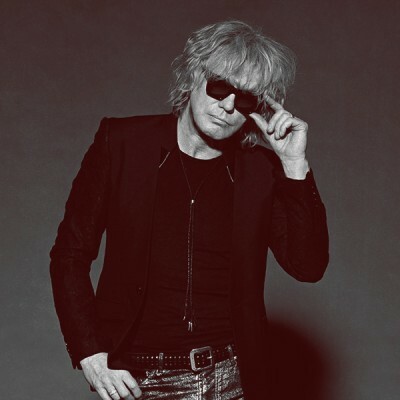 “Kings of The World” is a classic Rick Savage tune. The influence of Queen’s “We Are The Champions” is quite obvious and deliberate. He set out to write his version of classic songs like Gloria Gaynor’s “I will Survive” and Sinatra’s “My Way”. Sav’s message was a CAN DO theme. June 2011 MIRROR BALL (Live & More) was released worldwide and debut at #16 in the U.S. on the Billboard Top 200 album chart. The band kicked off their summer tour on June 7th with two dates in Ireland and headlined the U.K.’s Download Festival at Donington Park. On June 15th they set out on a three-month North American tour with special guest HEART, which Billboard named #1 on its “Hot Tours” list for 2011. During the tour Phil Collen’s side band MANRAZE also released their sophomore album PunkFunkRootsRock on August 2nd. In October, Def Leppard headed to Australia and New Zealand for 8 more dates with Heart. The band got a warm welcome to Japan in November where Mirror Ball was #1 on the BURRN! chart (Japan’s leading hard rock and metal magazine). They played two dates in Osaka and Tokyo before heading back to the U.K. to round out the year in December. On 6th December, DEF LEPPARD kicked off their six-date U.K. tour in Birmingham with MOTLEY CRUE and special guests STEEL PANTHER. On 5 June the band officially releases in the digital format the re-recorded 2012 versions of “Rock of Ages” & “Pour Some Sugar On Me” to support the upcomming Warner Bros. motion picture “Rock of Ages” which stars Tom Cruise amongst others. On 6 June Def Leppard play a rare club performance at the House of Blues in Los Angeles, CA that is part of a YouTube.com presents “Live Stream” event, as well as an after party for the movie premiere of “Rock of Ages” along with Poison. These early weeks of June finds the band also in New York City participating in various press and tv appearances. 20 June marks the date that their 2012 Rock of Ages Summer tour begins in Salt Lake City UT with Poison & Lita Ford that sees the band playing to audiences in North America, Canada, and Mexico until early September. On 19 November the band announces that they will be performing their first ever Las Vegas residency called “VIVA Hysteria” which the band will perform their 1987 multi-platinum album Hysteria in full plus a set of greatest hits and rare songs. The residency will be live at The Joint at the Hard Rock Hotel & Casino. With the end of the year fast approaching on 18 December, D.L. releases a suprise special digital download medley of acoustic rock songs that the band features in many live shows entitled “Acoustic Medley”. This special studio recorded medley is 7.5 minutes long and features a seamless blend of the songs “Where Does Love Go When It Dies”, “Now”, “When Love & Hate Collide”, “Have You Ever Needed Someone So Bad” and “Two Steps Behind”. After months of planning for VIVA Hysteria on 7 March the bands airfreight arrives from Europe and the crew begins loading in and setting up for rehearsals on Los Angeles, CA. On 10 March through 17 March D.L. offically start rehearsing for their Las Vegas residency. That same week on 19 March the band officially releases a newly recorded version of “Hysteria” (2013) digitally. 22 March kicks off opening nite at The Joint at Hard Rock Hotel & Casino for a 11 date run of shows playing their mega album Hysteria in full plus a set of classics and rare songs. Def Leppard kicked of 2015 with a TV performance for the Voice (Canada) La Voix finale on April 12 in Montreal. The 2015 World tour then kicked off in Canada on April 15th and then in Europe on May 17th playing 11 dates. On June 20th Def Leppard kicked off their 50 + dates tour of the U.S. with Styx and Tesla. On September 17th, Def Leppard has announced that their long-awaited new studio album will be released on October 30, 2015. The debut single from the album is entited “Let’s Go,” which premiered globally on RollingStone.com. Recorded earlier this year at Joe’s studio in Dublin, Ireland, the album will feature 14 tracks in total. This self-titled album release will mark their first new collection of material in seven years and Def Leppard’s 11th official studio release. On October 16th Def Leppard premiered a second song off of the new album with Billboard Magazine entitled “Dangerous”. Def Leppard’s 2016 Summer Tour which ended on 10th October has made the Pollstar end of year Top Tours lists. The 2016 tour finished at Number 33 on the Top 200 North American Tours list for 57 shows played. It also finished at Number 51 on the Top 100 Worldwide Tours and Number 34 for Top 100 Ticket Sales with 616,753 sold in total. In January of 2017, Joe Elliott performed as a special guest at the “Celebrating David Bowie” Tribute Concerts in London & Los Angeles. Def Leppard announced their North American headline tour with guests Poison in Tesla in January. Def Leppard’s 2017 Tour ended on 7th October in Mexico and made the Pollstar end of year Top Tours lists. On February 10 the band released the “…And There Will Be A Next Time (Live From Detroit” DVD, reaching 8 Top Ten DVD chart placements including #1 in the US, Canada and France. In April of 2017 guitarist Phil Collen appeared on Comedy Central’s “Comedy Jam” television show alongside Taryn Manning & Sebastian Bach. On April 22 Def Leppard re-released the Def Leppard EP on 12-inch 45 rpm for Record Store Day. In June of 2017 Rolling Stone ranked Pyromania one of the 100 Greatest Metal Albums of All Time. On August 4, 2017 Def Leppard released the remastered Hysteria 30th anniversary editions. The reissue included B-sides and live tracks, plus the audio for “In The Round In Your Face (Live)” on CD for the first time ever. The release landed Hysteria back on the charts at #1 with praise from fellow rockers Brian May, Steven Tyler and Brian Johnson, as well as Forbes, Rolling Stone & Billboard. 32 years after the originally scheduled Rock In Rio performance, Def Leppard made a triumphant return to the World Stage on September 21. On January 19th, Def Leppard made a massive announcement to finally release their entire catalog for digital and streaming worldwide, a 60 date, co-headlining summer tour with Journey, and the “Hysteria and More” tour in UK & Ireland in December. Dubbed “Def Leppard Day” the release propelled Def Leppard back onto the charts. Digital song sales skyrocketed 1,422% reaching top 10 in over 30 countries, as well as the #1, #2, and #3 positions on the US Catalog Album Chart. Hysteria reached #3 on the Billboard 200, and albums Pyromania and Vault earned their highest chart positions ever. In March of 2018, guitarist Vivian Campbell released his Signature Les Paul Custom model with Gibson Guitars, and became a celebrity ambassador for Northern Ireland Hospice. Def Leppard performed at the legendary Royal Albert Hall on March 25 to benefit Teenage Cancer Trust with Roger Daltrey bringing them onstage. While in London Def Leppard also announced and completed press for the release of a forthcoming series of career spanning box sets with volume 1 to be release in June of 2018. 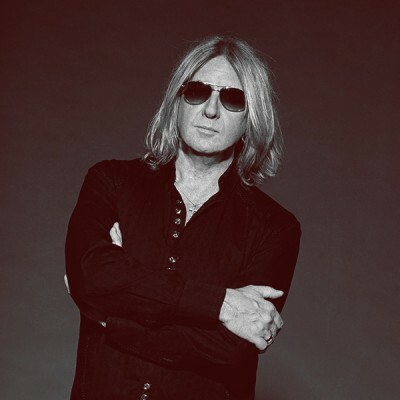 Launched in April, Joe Elliott received a new radio show “Songs From The Vault” airing monthly on Sirius XM. On April 21st the band released “Def Leppard – Live At Abbey Road” which featured 3 never-before-released songs recorded at the famous Abbey Road Studios back in 2008. On 13 May the band arrived in New York City to kick off tour rehearsals and record 2 songs for their Spotify Sessions which later revealed to be a cover of Depeche Mode’s “Personal Jesus” and “Hysteria”. On May 21st the start of the Def Leppard x Journey tour started in Hartford, CT.
Def Leppard and Elysian Brewing also joined forces in May of 2018 to launch the “Def Leppard Pale” beer. The beer would be sold nationwide during the tour and at select local venues. On June 1, 2018 Def Leppard released the first of four career-spanning box sets, including our first four albums, rarities, and the original Def Leppard EP. In July of 2018, Def Leppard released their “Spotify Singles Sessions” recorded at Spotify Studios in NYC. The sessions included a cover of Depeche Mode’s “Personal Jesus” as well as a new re-recording of “Hysteria”. On July 18, 2018 the band celebrated 40 years since their first gig at Westfield School in Sheffield, England. July 26th the band announced they will be shooting a music video for their cover of Depeche Mode’s “Personal Jesus”. On October 7th Def Leppard concluded their North American tour w/ Journey at The Forum in Los Angeles, CA with two sold out nites at The Forum. It was announced by Pollstar Magazine that their North American summer tour sold over 1 Million tickets. On October 9, 2018, Def Leppard received the prestigious nomination for the 2019 Rock & Roll Hall of Fame Induction. This notably marks their first inclusion on the ballot. Closing out a banner 2018, on October 12, 2018 Def Leppard reveal a string of upcoming releases. The group assemble a brand new greatest hits collection entitled The Story So Far – The Best Of, arriving in stores and online November 30, 2018 which includes the recent fan favorite Depeche Mode cover “Personal Jesus,” “Rock On (Remix),”. As a bonus for collectors, the first pressing vinyl copies of The Story So Far feature an exclusive 7” single of “Personal Jesus”. Additionally, Def Leppard shared “We All Need Christmas” as a standalone digital single. Next up on November 30, the group will release Hysteria: The Singles, a new limited edition, 10-disc vinyl box set featuring all of the 7” singles from their eponymous multi-platinum album Hysteria, which celebrated its 30th anniversary last year. On December 12, 2018 it was announced that Def Leppard would be inducted into the Rock & Roll Hall of Fame. The band will be inducted in 2019 alongside The Cure, Janet Jackson, Stevie Nicks, Radiohead, Roxy Music and The Zombies and take place on March 29, 2019 in Brooklyn, NY at Barclays Center. 2019 kicks off with the announcement on 9 January of their Canadian summer tour w/ Tesla.